Stygimoloch is an interesting dinosaur for several reasons. Although it lived in the late Cretaceous, it had a number of primitive characteristics such as five fingers. Stygimoloch had leaf shaped teeth in the back of its mouth, but the front of the mouth was filled with sharp incisors similar to a carnivore. 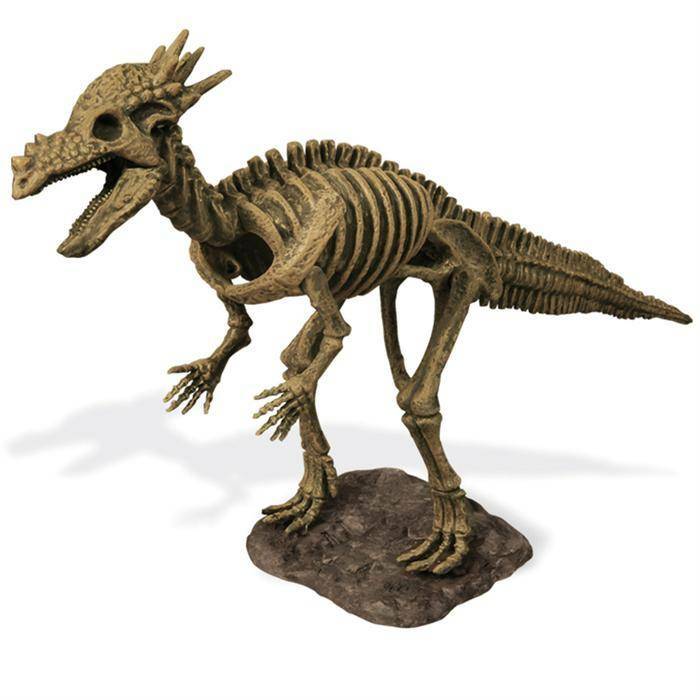 This dinosaur was possibly an omnivore due to its differentiated teeth.Stygimoloch, known as the “spiny river devil,” is a member of the pachycephalosaurid family of dinosaurs, which is the same family of dinosaurs that includes the better-known Pachycephalosaurs. This dinosaur was smaller and had a skull that was not quite as thick as the Pachycephalosaurus. The domed skull was adorned with large spikes and multiple clusters of smaller nodes. The name of this prehistoric animal is Stygimoloch Spinifer, meaning “thorny devil from the river of death” (intriguing name). He was a member of the family of the pachycephalosaurs, this means that family was the “dinosaurs thick heads” (translation mine). 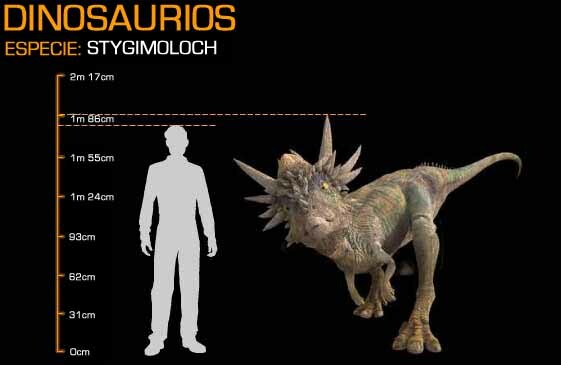 Finally, the most characteristic of Stygimoloch Spinifer was that, his head. 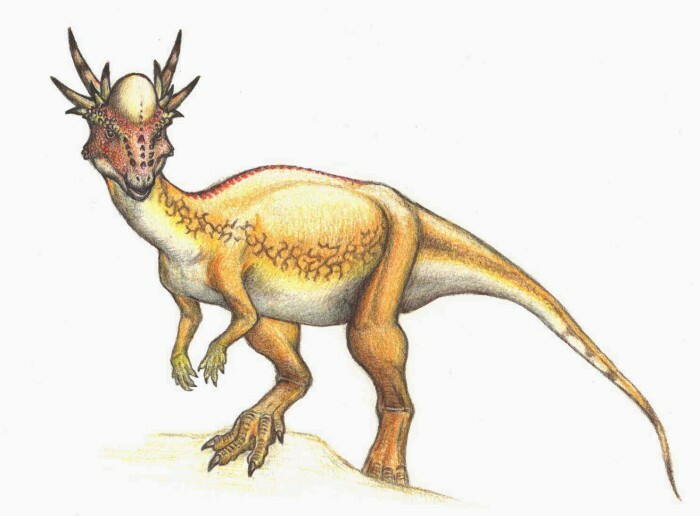 His skull was not as thick as other pachycephalosaurs, very well, but has a large number of horns, horns on his head on the muzzle, on the back of the skull and other parts of the face. 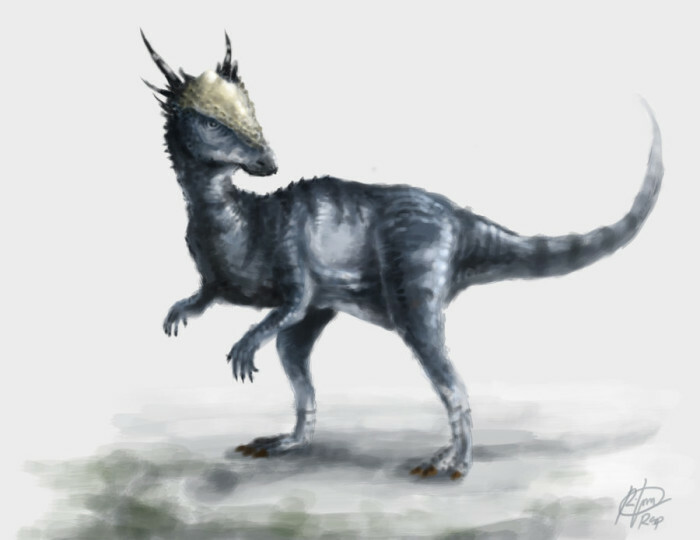 The Stygimoloch Spinifer was a herbivore that measured just over 3 meters long and about 2 meters high. He had small front legs but instead the rear was long and strong, so considering that it was agile and quick. In fact, he could inhabit the same ecological niche as a deer or an impala in Africa today, the only thing that did not live back then lions, but Tyrannosaurus Rex.